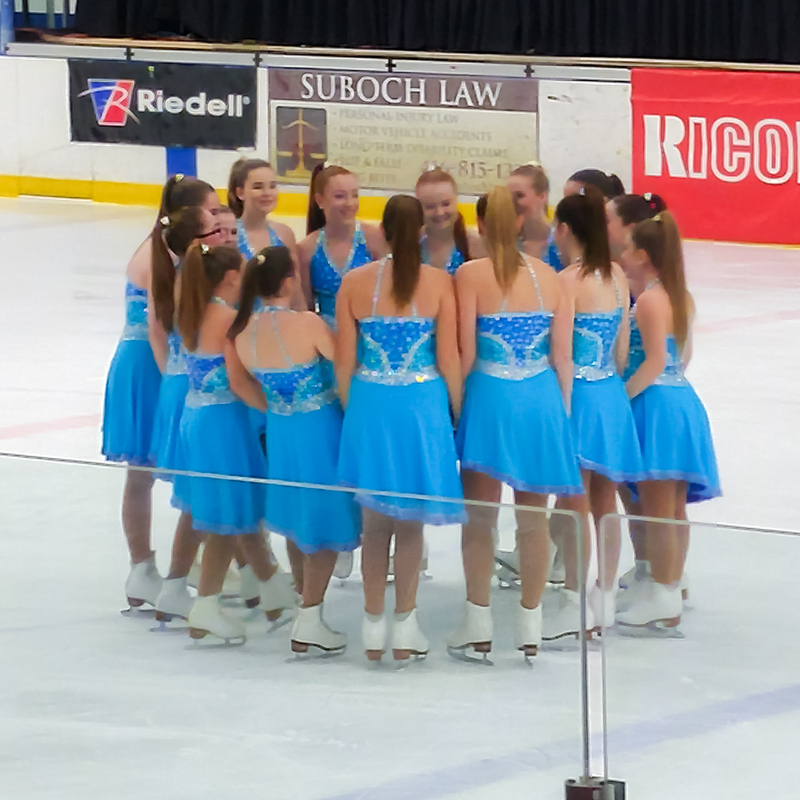 Congratulations to our Pre-Novice Ice-Ations who competed at the 2017 Ontario Regionals Synchronized Skating Championships, at the Herbert H. Carnegie Centennial Centre Arena in North York. The ladies achieved a season high score! Way to go!!! And as you can clearly see in the photo, during their pre-skate huddle, they’re having a blast! This entry was posted in Competition, News, Synchro by qbv2q. Bookmark the permalink.